One ingredient that is commonly found in chaats in papdi. 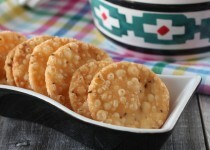 Is a deep fried snack that can be had as is or be added to chaats. When the chaat bug bit me 6 months ago, I made every chaat ingredient from scratch and also made a ton of chaats. Do not panic since you get most of these things in stores. So, if you are pressed for time, you can buy the pre-made stuff and assemble the chaat at home. 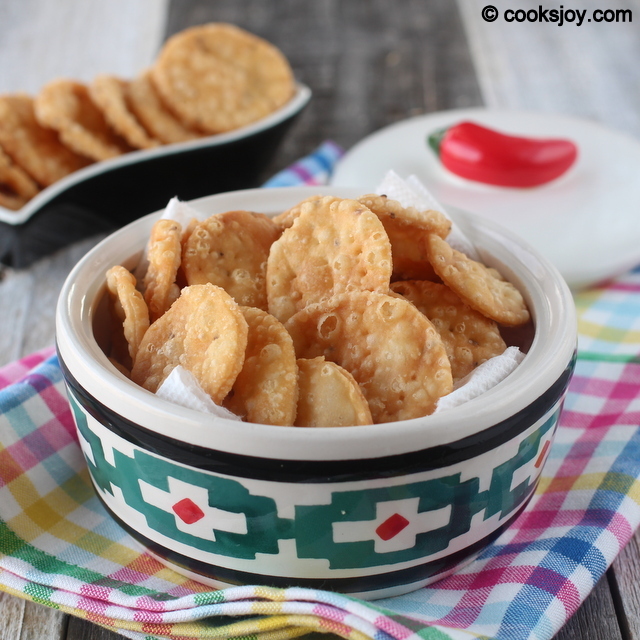 But if you do have the extra time, you have to try these snacks since they are a sure hit with kids. 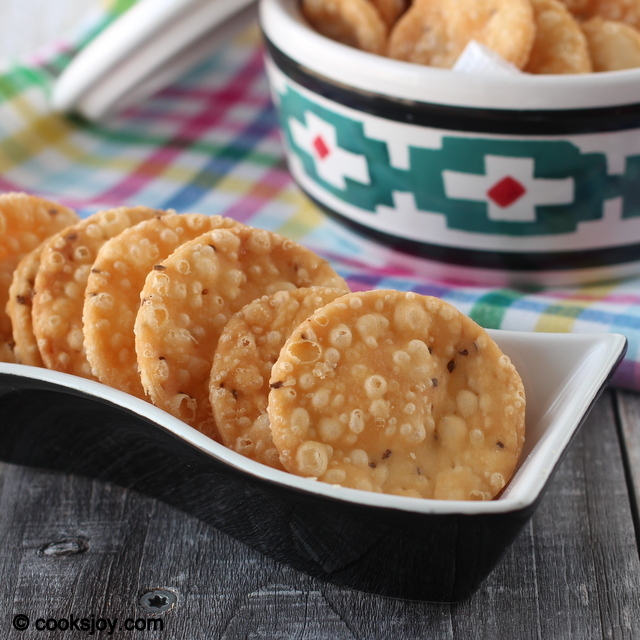 Once these are made, you have a ton of variations in assembling to create different chaats. Off to the recipe. 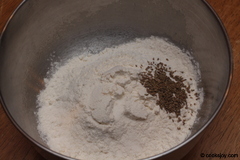 Mix flour, salt, ajwain and oil. 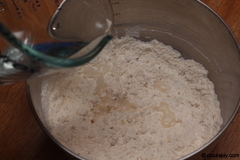 Using water form a stiff dough. Allow to rest for half an hour. 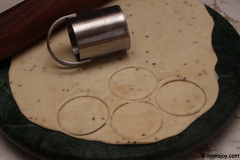 Roll the dough into circle and cut into small circles using a cup or biscuit cutter. Prick with a fork to prevent the circles from puffing up during deep frying. 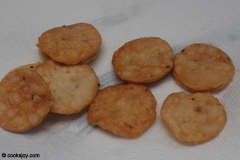 Deep fry the small circles until they are golden brown. Allow to cool and store in air tight containers. 1. Do not overcrowd the pan while deep frying. 1. 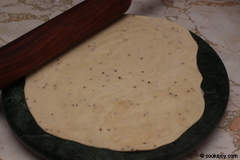 Take all purpose flour, salt and ajwain in a bowl and mix. 2. 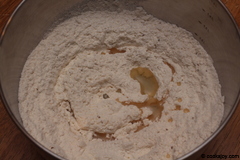 Add oil and mix. 3. Slightly crumbled dough. 4. Add water. 5. 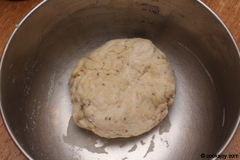 Form a stiff dough. 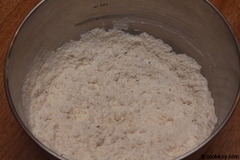 Allow dough to rest for half an hour. 6. 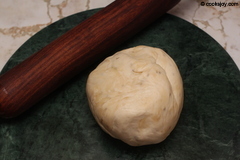 Dough ready for rolling. 7. Roll into a big circle. 8. 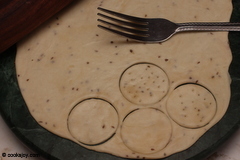 Using a biscuit cutter or small cup cut circles. 9. 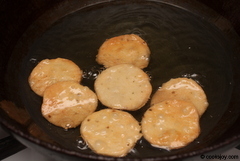 Prick the circles with a fork to prevent it from puffing while frying. 10. 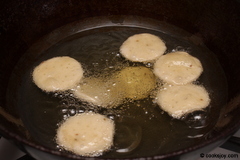 Heat oil and add a few papdis at a time to deep fry. 11. Flip over and allow both sides to cook. 12. Allow to cool and store in a air tight containers. 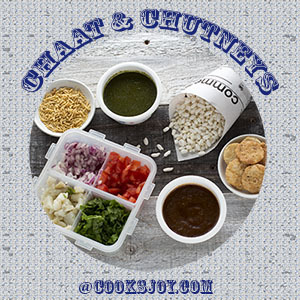 Linking to Chaats & Chutneys. 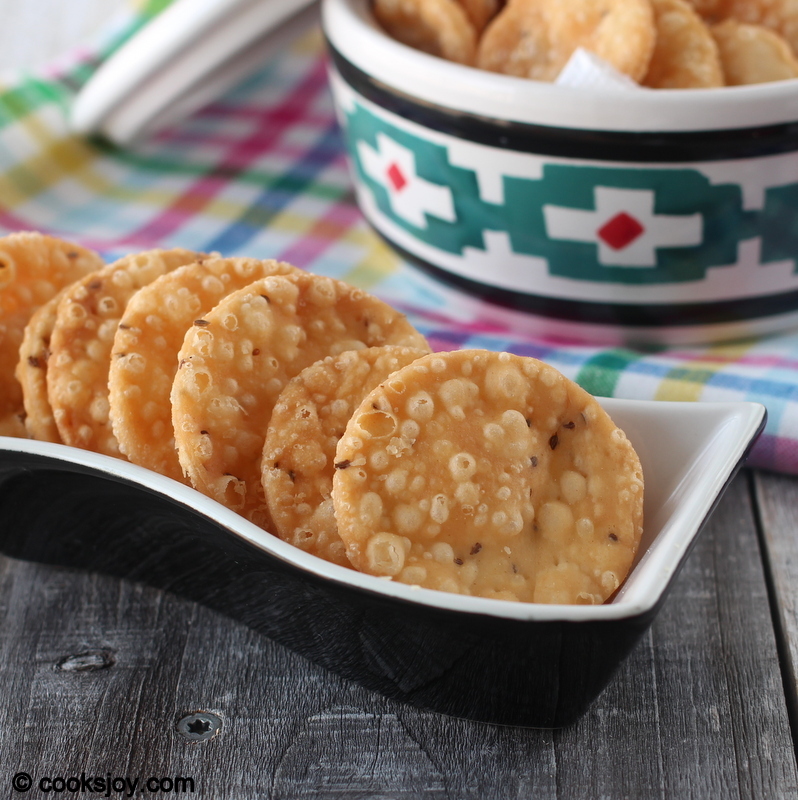 Really good idea to make papdi from scratch. I always buy them from shop but next time I will try to make them at home. Will definitely try this out. I must appreciate your idea and patience of preparing everything at home from scratch. Kudos to you! 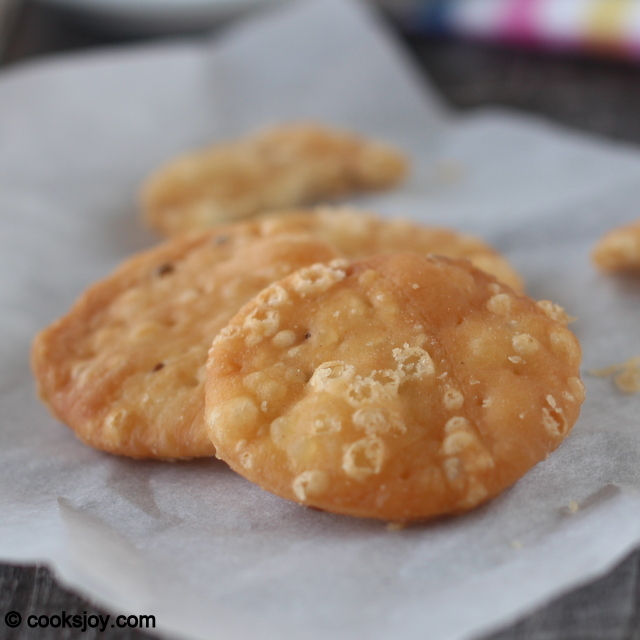 Omg, crispy munchies, guess your next post is going to be papdi chaat.